- Dr. Cory Hrushka, Psychologist and Owner, Insight Psychological Inc.
Like many in the caring profession, Dr. Cory Hrushka knew a great deal about helping people, but not enough about marketing his services. “I first heard about Google AdWords around 2008,” says Hrushka, a registered psychologist and owner of Insight Psychological in Edmonton. “I was asking, “How do I reach out to more people in need of our services?” AdWords soon helped Hrushka change all that. Hrushka founded Insight Psychological in 1997 in partnership with another psychologist. “It was a struggle for two people who really didn’t have much business background at all.” Hrushka became the practice’s sole owner when he bought out his partner in 2007. Hrushka could see the great potential of the practice but needed help in materializing that potential. Hrushka started looking into AdWords to boost his online marketing. He launched his own AdWords campaigns, starting with a microscopic budget of $2 per day. After about six months, wanting more sophistication in his AdWords campaign, he turned to Adster Creative, a Google Partner based in Edmonton. – Dr. Cory Hrushka, Psychologist and Owner, Insight Psychological Inc. Besides increasing his AdWords presence, Adster helped Hrushka revamp his website and marketing strategies, aiming to raise Insight Psychological’s Google search rankings. 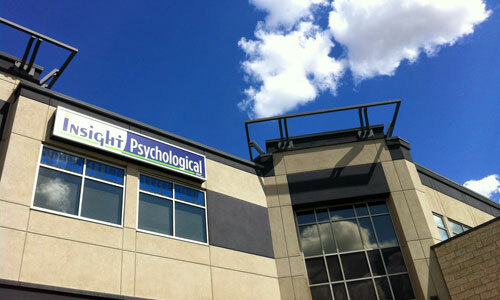 The rankings steadily improved and Insight Psychological saw a rapid increase in visits to its website. More significantly, client bookings rose by roughly 25% per year from 2009 through 2011. By 2012, the practice saw a growth of over 60%, consistently breaking records for new-business intakes. By April 2013, around two-thirds of the practice’s clients booked their sessions online, a huge jump from earlier years. “We now reach around 200 intakes per month while a good month in the early days would consist of 30 intakes.” That month, the practice set another new record in intake, making it the best in fifteen years of operation. Naturally, the practice expanded to accommodate the rapid growth in intakes. The number of therapists grew from five in 2007 to over twenty in 2013 and service locations grew from one in Edmonton to five, covering Edmonton, Spruce Grove, Red Deer and Calgary.